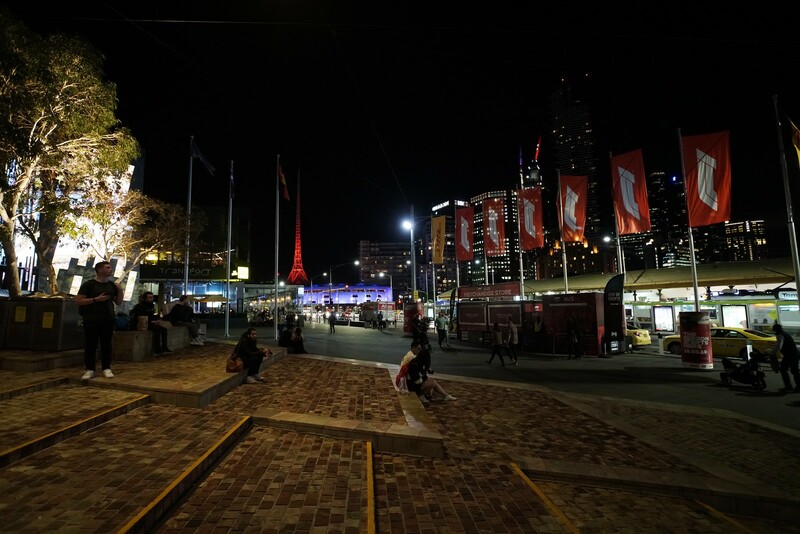 It was a perfect 'Indian Summer' autumn evening and of course full of life on Formula One Grand Prix weekend. 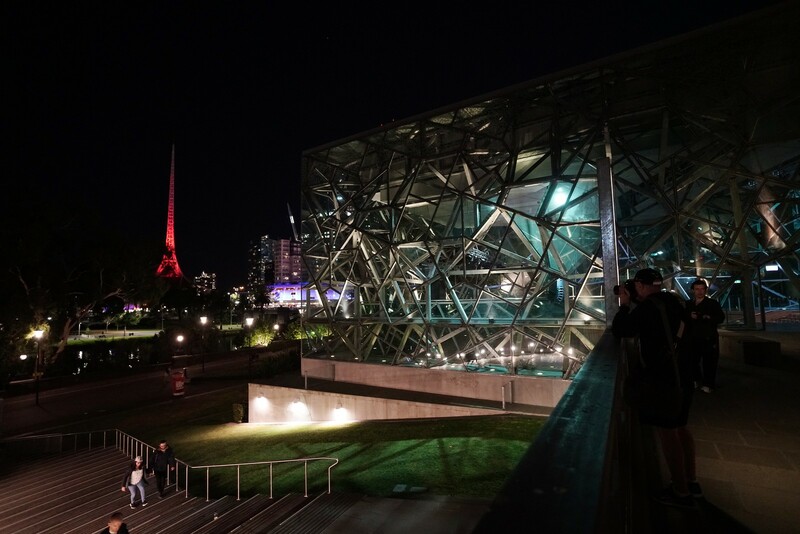 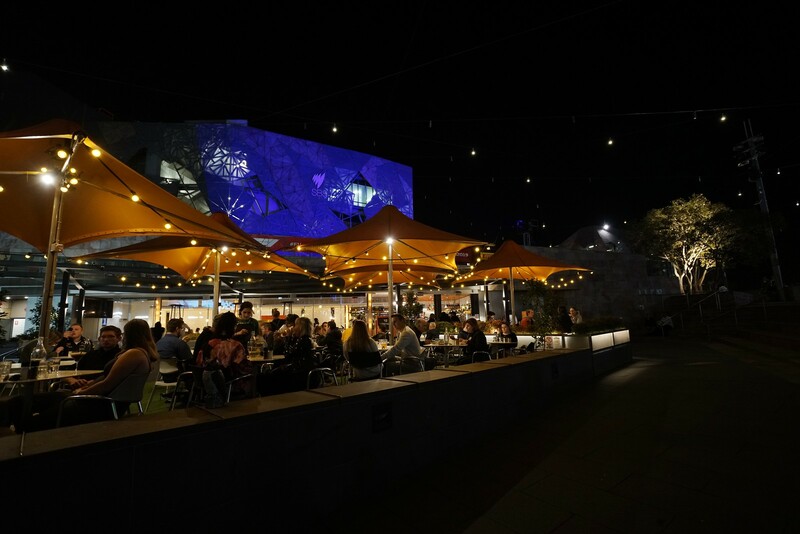 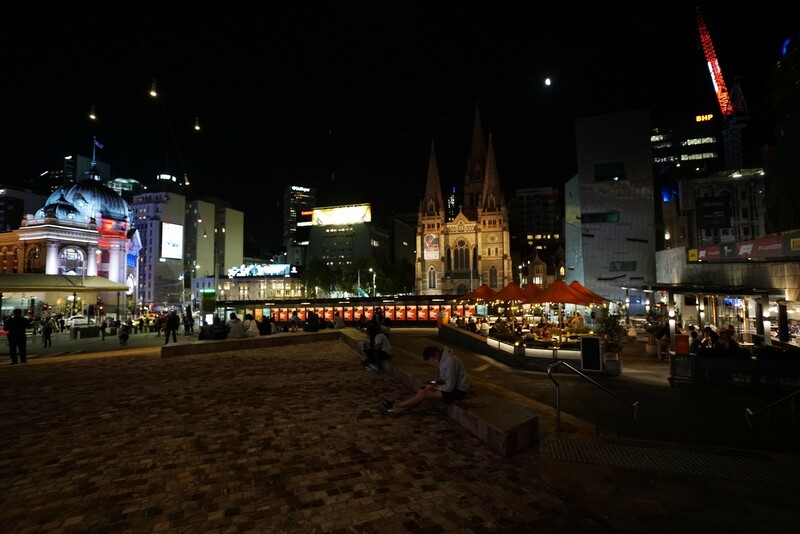 Final few from this shoot, this time around Federation Square. 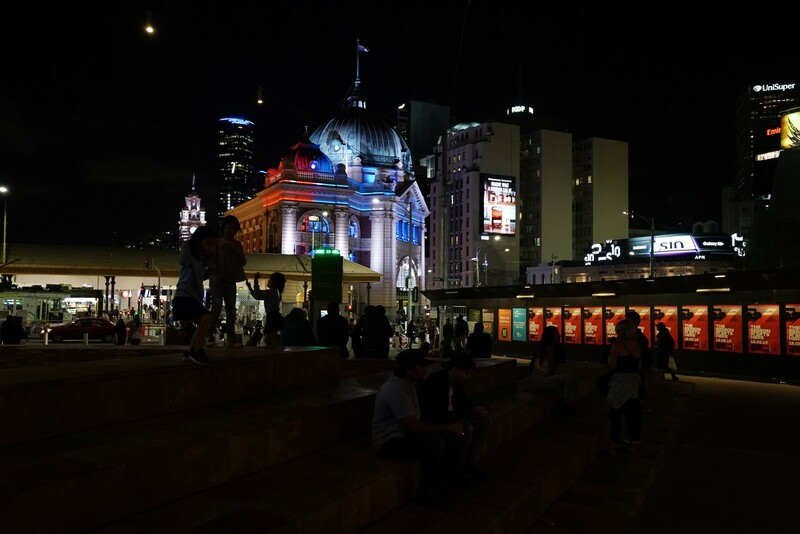 Again, plenty of red, white and blue lighting in solidarity with the victims of the Christchurch terror attack earlier that day.